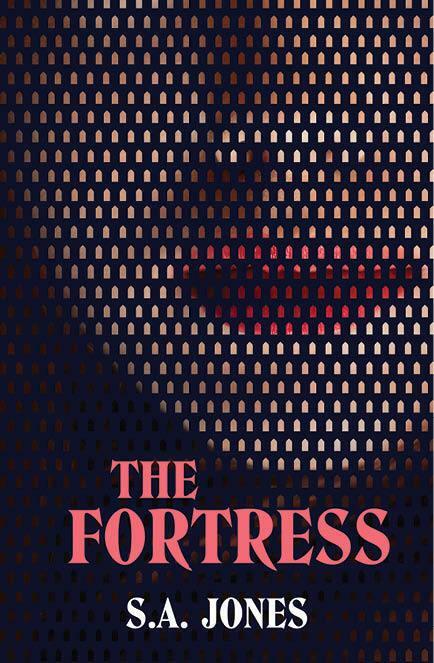 The Fortress has a fascinating premise. Alongside a world that appears the same as our own, there exists an all-female civilisation. Its native women are called the Vaik. They are proud, Amazonian and powerful; bound by their own laws, rituals and language. They live in a fortress which is walled in on three sides, the sea forming a natural barrier on the fourth. Entry is through the tightly patrolled Veya Gate and the future of the civilisation is secured through reproductive treaties whereby the Vaik are granted access to men and sperm. In an uncomfortably familiar story, the Vaik had inhabited the land for thousands of years before colonists arrived and tried to take over. The resulting treaty between the indigenous inhabitants and the invading settlers included conditions and clauses shaped by generations of Vaik tradition. For instance, female victims of male violence in the ‘new’ world can order their assailants exiled to the fortress indefinitely. Once there, women have the power of life and death over them. Men can also enter the fortress as supplicants – asking to be redeemed, restored or perhaps even reinvented. Jonathon Bridge, a privileged white man, is sent into the fortress for a year by his pregnant wife after she discovers that not only has he participated in sexual misconduct at his top-tier firm, but also facilitated a cover-up. Again, it’s an uncomfortably familiar story – Jonathon is so habituated to misogyny that he hasn’t the faintest idea what gender parity might even mean. His sense of self-entitlement is monumental; thus, his induction into an all-female civilisation where women hold the power, including sexual power, is deeply satisfying. The ways in which Jonathan changes are perhaps predictable, but the glimpses of a world in which male submission is normal, together with speculative scenarios showing how that might actually work, make for stimulating discussion starters. Hilary Simmons is part of the Readings events team.